The perfect conference gift to welcome your attendees! 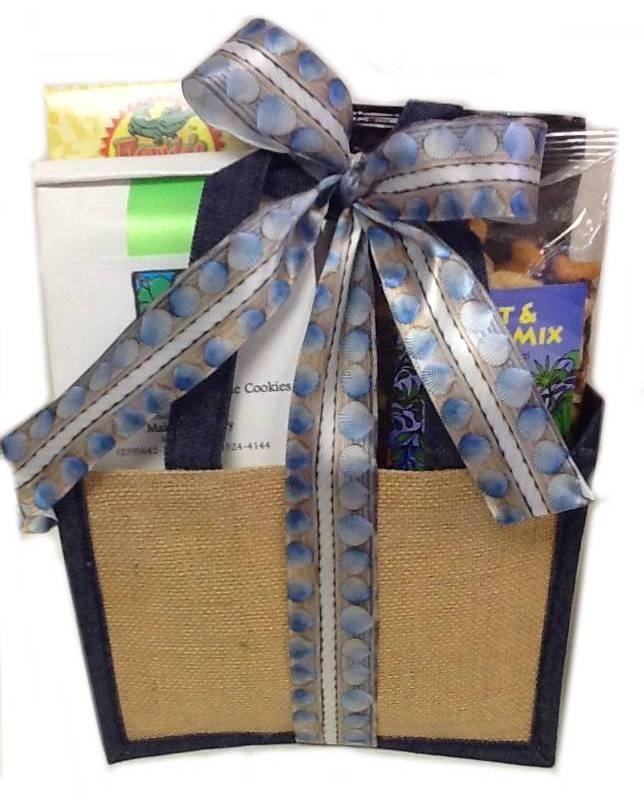 This natural jute bag is trimmed in denim and the interior has been waterproofed. gourmet pretzels, chocolate dipped coconut patties and tropical candies. Call for additional price points and component options to tailor this for your event. Just ask and we can quote the inclusion of sun block, sea shell bags and identifier cards and more!